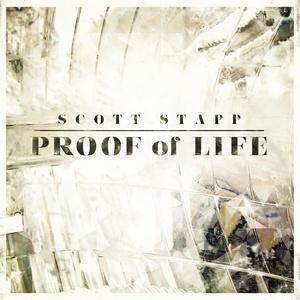 While Creed takes a break as Mark Tremonto tours with Alter Bridge, Creed singer Scott Stapp is releasing his second solo album, "Proof of life". Listening to the album I'd say that fans of Daughtry, Creed and Nickelback should certainly give this album a listen. It's got a lot in common with Nickelback with it's radio friendly rock songs, and of course with Creed there's the vocal link. Comparing the album to Nickelback has some validity - on a first listen there is a lot in common, but listening to the lyrics I'd say this album is a lot better than Nickelback - it's got a slightly darker and more personal feel to it. The album includes references to Stapp's Christian beliefs with "Jesus was a rockstar" including the lyrics "He walked on water / he turned water to wine and drank with people you and I would just cast aside / he fed his people food / and in the blink of an eye, he gave a blind man sight... he gave us everything and more/ he was your party that you'd been looking for / Maybe, just maybe, Jesus was a rock star." Don't let that put you off though - this isn't what I would call a "Christian rock" album (it's far too good to be tarred with that label) - yes it has Christian references, but there's no feeling of being preached to and it's all great music. It's a great album that fans of Daughtry, Creed and Nickelback are almost certain to enjoy. "Proof of life" will be released on 20th January 2014.